Mannequin abstract woman with head and ears. these display female mannequins are in stock. female display mannequin in white color, standard shape, easy to use, this mannequin is the perfect match for your store. 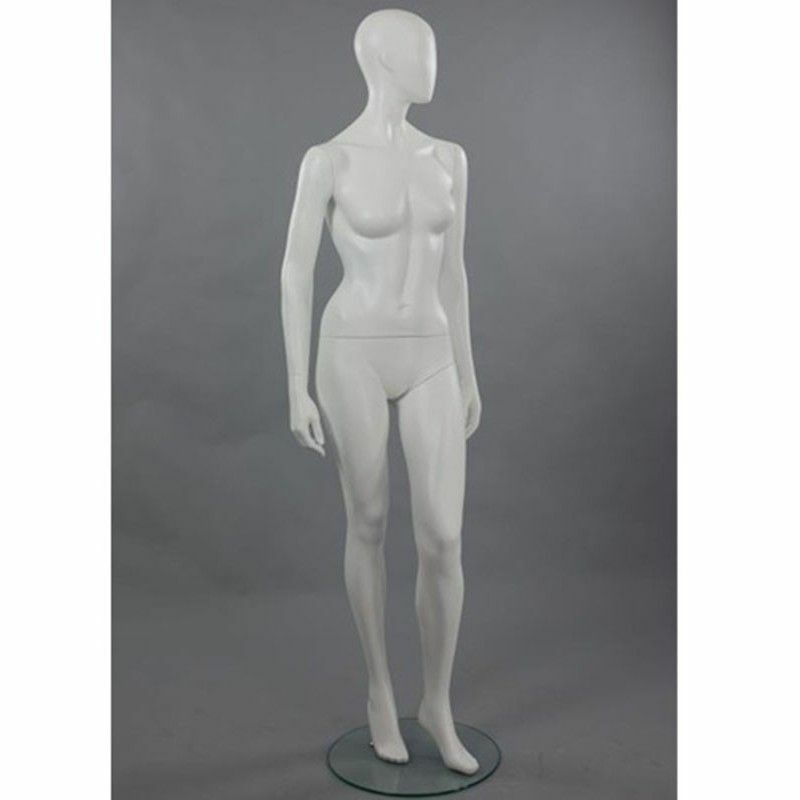 female mannequins delivered with round glass base and double fitting.